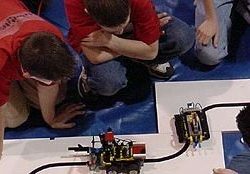 Welcome to the Canton Charter Academy Robofest Website!! Site Host organizer will collect $20 on the day of competition when checking-in teams. Please prepare check or cash only.